Last year saw costume takes such as "Bitcoin Bubble Boy" and a real-life private key, and that kind of imaginative spirit was on full display for 2018. This year's Halloween also marked the 10-year anniversary of the release of the bitcoin white paper. In 2008, the pseudonymous creator of bitcoin, Satoshi Nakamoto, first circulated the paper among a list of influential cryptographers – thus setting the stage for the cryptocurrency's formal launch the following January. Given what could be called a dual holiday – in crypto circles, at least – his year's Halloween costumes ran the proverbial gamut. 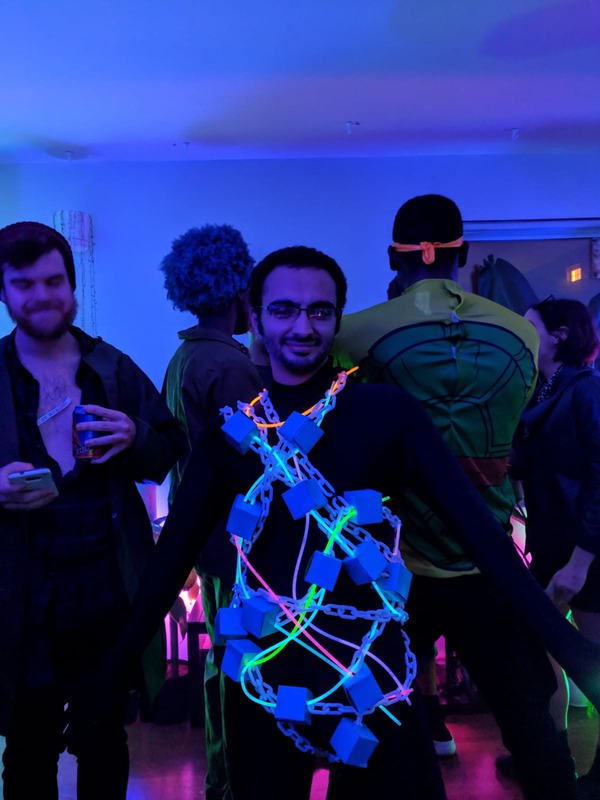 In a follow-up post, benevolinsolence revealed an update to the costume complete with glowsticks for the occasion. Even industry startups like Blockstream got into the Halloween spirit with some in-office costumes. Keeping in the spirit of the double-holiday, journalist Laura Shin dressed up as the bitcoin white paper itself. This group of revelers offered a unique take on the term "bitcoin miners," including both a hard hate and a live-price ticker for bitcoin. As a subsequent tweet revealed, the group won first place in a costume contest. Some costume-wearers took on the topic of cryptocurrency forks (with an emphasis on the breakaway cryptocurrency bitcoin cash) this Halloween. 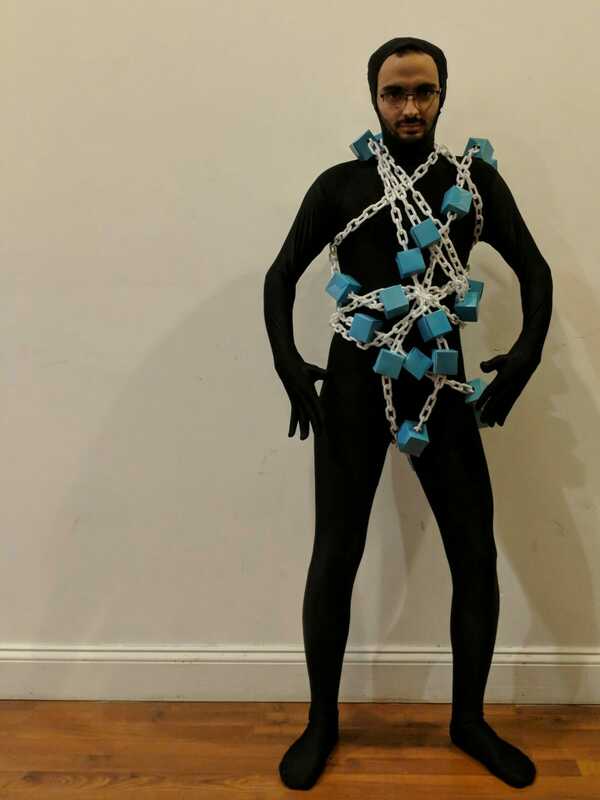 All in all, the crypto community put its creative spirit to the test this Halloween. And while the results weren't exactly spooky, they did showcase its lighter side for a change.